The source of the infogram did not say where the data came from. I found it strange that the Quran was not included, or other books of the world’s major religions. Be that as it may, the list makes for an interesting insight into our times. 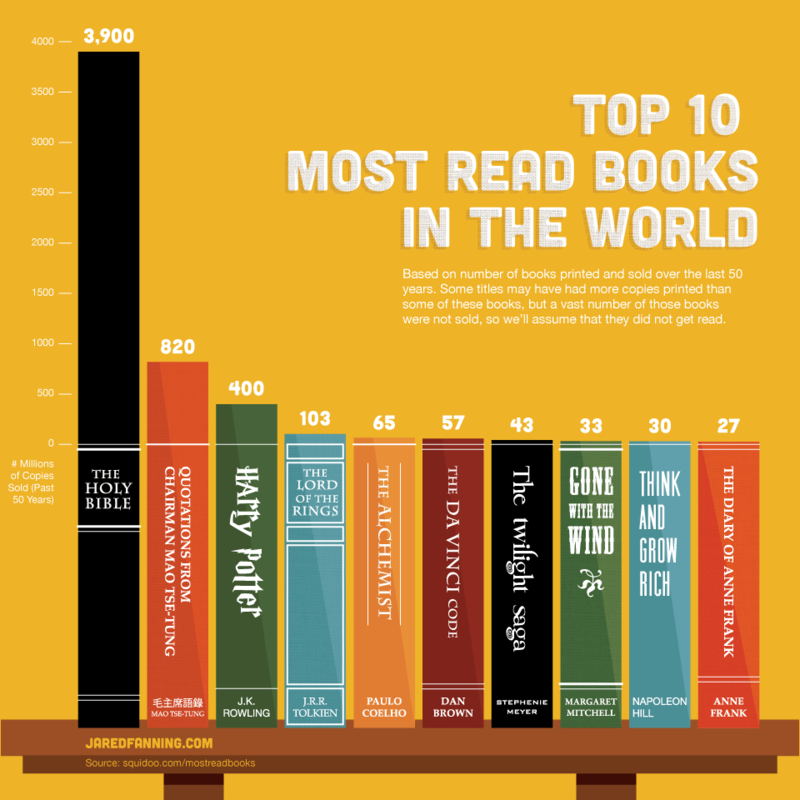 We’re not surprised by the first most read book, the Bible. It is by far the most translated, most printed, most distributed of all. A tragedy that it is not the most heeded and lived. Our mission at Forthright Press is to call people to that book as God’s revelation of what he has done in Christ to bring us to himself. This entry was posted in Articles and tagged Books, most read, Religion and Spirituality on 2013-05-15 by Randal.